European home improvement giant Kingfisher has projected storage cost savings of 40% on its 1PB estate over five years, following the implementation of disk and flash storage arrays from X-IO that have eliminated day-to-day failed disk replacement and Raid rebuilds. The £120,000 project saw Kingfisher reject further purchases of storage hardware from its incumbent supplier, IBM. 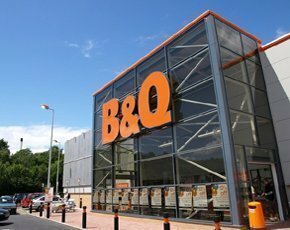 Kingfisher owns retail outlets across Europe, including B&Q and Screwfix in the UK. The company employs 78,000 in nine countries and makes annual sales of £10.6bn from 1,060 stores. Business growth and new projects forced a decision on increasing storage capacity at its two datacentres in Fareham, Hampshire, that support its core application, SAP on Oracle. Prior to the X-IO deployment, storage was solely IBM with data stored in thin-provisioned V7000, DS5300 and DS4800s arrays, to a capacity of around 1PB total behind IBM SAN Volume Controller (SVC) storage virtualisation hardware. Stuart Hartley, storage architect at Kingfisher said: “It was coming to a point where we needed extra capacity. We could have bought more IBM arrays, but we’d had reliability issues with the ones we had. Options considered, said Hartley, were another IBM V7000, HP 3PAR arrays, EMC’s VNX or X-IO’s ISE hardware. Eventually, said Hartley, it came down to cost. “X-IO was cheaper than the other suppliers by up to 20% on a price per GB basis, and up to 80% cheaper on a price per IOPS basis,” he said. Kingfisher initially deployed three X-IO ISE 210 arrays with around 60TB of capacity using 900GB SAS 10,000rpm drives under the management of the IBM SVC hardware. Later the company added two X-IO Hyper ISE 730 arrays, with total capacity of around 30TB, on 900GB SAS 10,000rpm spinning disk plus MLC flash. This was kept separate from the main storage estate to support a trial VMware View virtual desktop infrastructure (VDI) project. Hartley said: “VDI is so new for us that we don’t want to risk any possibility of a boot storm taking anything else down. Boot storms are the name given to massive, simultaneous I/O demands on storage that occur when many users login to virtual desktops at the start of shifts. A key element of specifying VDI storage is to ensure it can cope with these spikes in demands for drive access. X-IO was cheaper at purchase by 5% to 10%, said Hartley, and “significantly cheaper” to the tune of 40% over five years. “Other suppliers supply disk on a three year basis and then charge you for years four and five,” he said. Raid rebuilds are an increasingly onerous challenge in modern datacentres. As disk capacities increase, so Raid rebuild times have grown to days at a time, which is an unacceptably long time frame for most users. X-IO sells storage arrays with its proprietary sealed drive DataPacs, which are in part a legacy of IP acquired when it bought Seagate’s Advanced Storage Architecture group in 2007. A key selling point is that DataPacs bring reliability and utilisation beyond that possible from other storage suppliers that use commodity drives. They do this by incorporating low vibration, self-healing and granular failure repair characteristics, such as the ability to lock off a single platter surface rather than fail a whole drive.